You’ve heard how important it is to “get enough sleep.” You know your body and brain require sleep for optimal function. Yet, according to the American Academy of Sleep Medicine, 30 to 35 percent of adults have symptoms of insomnia, meaning about one-third of adults have trouble falling asleep or staying asleep. This past September, Northwest Neurology began offering sleep medicine services at its locations in Lake Barrington, South Barrington, Rolling Meadows and Libertyville. Two new sleep medicine specialists, Dr. Ahmer Ali and Dr. Yumna Saeed, complete Northwest Neurology’s team of 23 providers. Both Ali and Saeed completed fellowships in sleep medicine at Northwestern University and now lead the Northwest Neurology Sleep Program. Northwest Neurology can now treat patients with sleep disorders including insomnia, sleep apnea, restless leg syndrome, REM behavioral sleep disorder, circadian rhythm disorders, narcolepsy and substance- or medication-induced sleep disorders. Some patients may need a sleep study to determine a diagnosis. This can be done at home or in a sleep laboratory. Northwest Neurology provides equipment for home sleep tests and collaborates with three laboratories to provide more in-depth sleep testing. Based on the diagnosis, Northwest Neurology develops a treatment plan from a wide range of treatment strategies, depending on the underlying sleep disorder. Two of the most common disorders are insomnia, when patients have trouble falling asleep or staying asleep, and obstructive sleep apnea, when breathing is interrupted during sleep. Treatment may range from cognitive behavioral strategies or behavior modification for insomnia to oral appliances or CPAP (Continuous Positive Airway Pressure) therapy for obstructive sleep apnea. Saeed and Ali follow up with their patients throughout their treatment to implement the most effective care for long-term recovery. The long-term side effects of untreated sleep apnea increase the risk of developing high blood pressure, metabolic derangements including weight gain, cardiac arrhythmias and even stroke, Saeed says. The long-term side effects of sleep deprivation and insomnia may lead to cognitive symptoms. “It’s very important, especially in our younger patients, to treat these disorders early on to prevent the detrimental sequelae of untreated sleep disorders down the road,” Saeed says. According to the American Academy of Sleep Medicine, adults age 18 to 60 should sleep at least 7 hours per night on a regular basis to promote optimal health. 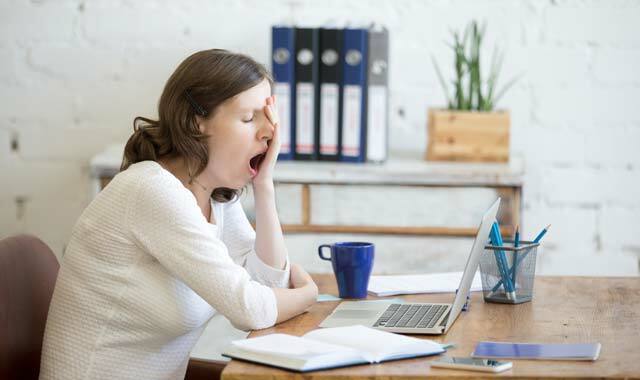 If you have excessive sleepiness during the day, trouble falling or staying asleep throughout the night, snoring, or other sleep complications, Saeed recommends calling Northwest Neurology at (847) 882-6604 to schedule an evaluation. Dr. Ahmer Ali is board-certified in neurology and fellowship trained in epilepsy/EEG, neurophysiology and sleep medicine. He completed his adult neurology residency and clinical neurophysiology fellowship (with advanced training in both EEG and EMG) at the University of Chicago. He completed his sleep medicine fellowship at Northwestern University. Dr. Ali’s practice includes all areas of general neurology, and his subspecialty practice includes epilepsy/EEG as well as sleep medicine with a focus on sleep-disordered breathing (obstructive sleep apnea, central sleep apnea, etc. ), circadian rhythm disorders, parasomnias, REM behavioral disorder, hypersomnia, narcolepsy and insomnia. With dual fellowship training Dr. Ali brings added expertise to his patients. Dr. Yumna Saeed is board-certified in Neurology. She joins Northwest Neurology after completing her sleep fellowship at Northwestern University. She received her medical degree from SUNY Upstate Medical University and completed her internal medicine internship and neurology residency at the University of Pittsburgh Medical Center. She practices general neurology and sub-specializes in sleep medicine. She focuses on the treatment of sleep-disordered breathing (obstructive and central sleep apnea), sleep-related movement disorders (parasomnias, RBD, PLMD and RLS), hypersomnia, narcolepsy and insomnia. This entry was posted on Friday, November 3rd, 2017 at 11:59 am	and is filed under Health & Fitness. You can follow any responses to this entry through the RSS 2.0 feed. Both comments and pings are currently closed.